Are you not sleeping well with your partner? Does he prefer to sleep differently? You may like to sleep on your back, but your husband may be the type of person who likes to sleep on his stomach. The differences in your sleeping needs may have more serious repercussions on your relationship. According to a National Sleep Foundation survey, around 12 percent of married couples sleep alone. Sleep can affect marital satisfaction. If you can’t stand sleeping together with your husband, then it may also affect your feelings towards him. Perhaps a change in your bed can be the solution to your sleeping problems. 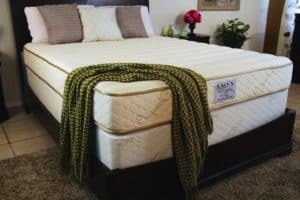 What if you can get a mattress where one side is for side sleepers and the other is for stomach sleepers, like the Roma Natural Latex Mattress? This bed from Sleep EZ has an advanced 2-in-1 Comfort Technology that makes it different among other mattresses. The Roma Natural Latex Mattress has two sides. One side is plush which makes it ideal for side sleepers. The other side is firm which makes it great for back and stomach sleepers. 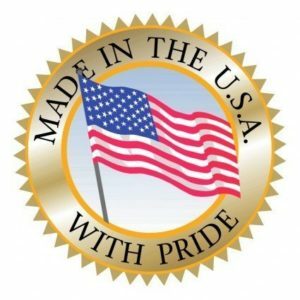 Aside from that unique selling point, there are other interesting things about this mattress that will catch your fancy. This is a six-inch thick mattress that is made of premium, natural Dunlop latex. The cover is a 1.5 inch thick, quilted, double sided organic cotton. It is available in four sizes. Aside from the queen size model, it also comes in twin, full, and twin XL. Dunlop latex is known for being versatile. It can provide a responsive surface for the mattress, giving you adequate support to your back. It can be soft and firm. And it can discourage buildup of moisture and heat, something that makes it different from other foams. Latex is also known for being anti-bacterial and hypoallergenic. It can resist mold and mildew. It isn’t the best place for dust mites, too. And it is an environmentally sustainable bedding material, aside from being very durable. But the most important trait of Dunlop latex, at least for people like you who can’t stand your partner’s style of sleeping, is that it does not transfer motion that innerspring mattresses are notorious for. Thus your partner can toss and turn all he wants and you would still be sleeping soundly. Whether you prefer a firm or a plush bedding, you will be happy with the firmness levels of this mattress. If you sleep on the soft side of the mattress, you will immediately notice that it has a nice, bouncy feeling. But there’s no spring below the mattress. Any indent that you create will be immediately filled as you roll over . It certainly won’t memorize your shape which memory foam mattresses are notorious for. This means that you won’t fall back into any hole that was created from the first part of your sleep. The soft side of the mattress makes it ideal for use of side sleepers. Sleeping on the side may have become a habit for you, but this position is ideal for certain people. Sleeping on the right side, in particular, can relieve heartburn symptoms. On the other hand, sleeping on the left is ideal for pregnant women as it can improve circulation to the heart. The firm side of the mattress, on the other hand, should satisfy your husband. When you lay in it, you will feel that there’s an even level. Unlike a spring mattress, the mid-section doesn’t sink. It’s the type of firm mattress that your partner will surely love, especially if he is forced to sleep on his stomach because of habit or even various body aches like neck, back, and joint pain. The firm side is also great for people who sleep on their back and want their head, neck, and spine aligned. Sleeping on the back is considered by many sleep experts as the best sleeping position. Aside from keeping the spine in a neutral position, it adds no extra pressure to the back. 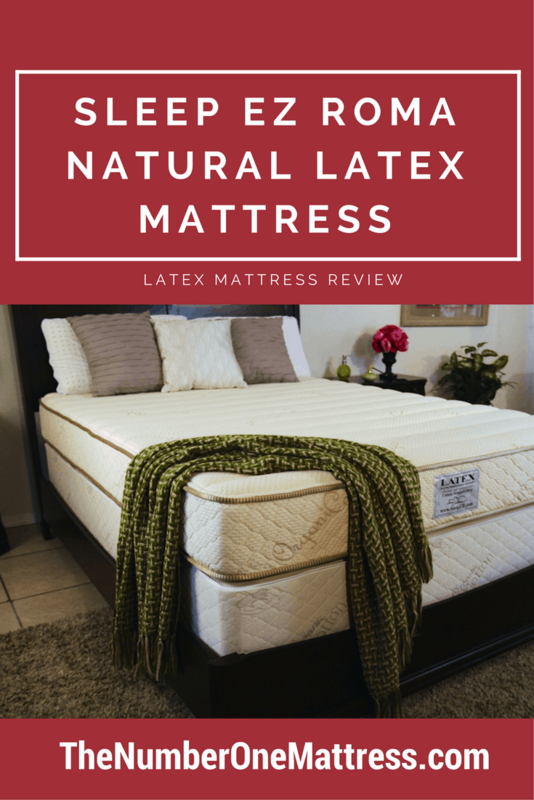 Unlike other mattresses, this natural latex mattress has a long, 20-year warranty period. If you notice any manufacturing defects in the latex within 10 years since the purchase of the item, you can return it to the manufacturer for repair or replacement of the component. However, you will be the one to pay for the shipping costs. But once the 10th year has lapsed, you’ll have to shoulder a percentage of the costs for repairing or replacing the mattress. A Sleep EZ representative or technician will be the one to determine repair or replacement of the mattress. However, you should know that the warranty will be voided if the raw latex was exposed to direct sunlight. The warranty also does not cover misuse or normal wear or tear. The company also discourages machine washing or drying the cover, so as to avoid voiding the warranty. Instead, it recommends cleaning a spot with a soft brush and detergent, then allowing it to air dry. This latex mattress has very good reviews on Amazon.com. Many of the reviewers speak highly about this product. One reviewer is so happy that he didn’t hesitate to part with his money for this mattress. He wrote that he has back and hip aches due to sleeping on his old mattress. He initially hesitated to buy the Roma Natural Latex mattress, thinking that it’s a bit overpriced. But he was drawn in by the 2-in-1 Comfort technology of the mattress, saying that he imagined sharing it with her partner who likes to sleep on a plush surface. He shared that it has been nearly four years since he bought the mattress, and up to this day, he still sleeps soundly on this bed. His now wife also likes the mattress because it doesn’t disturb her, no matter how much movement the man does. The owner added he is still in awe at how great this purchase has turned out to be. Another reviewer on Amazon.com commented that the mattress is ideal for couples who prefer contrasting sleeping positions. Speaking from experience, she said her hubby likes to sleep on the side while she sleeps on the back. Her husband sleeps on the plush side while the firm side is her territory. According to her, they’ve never had a conversation about losing sleep ever since they bought this mattress. Of course, not everyone on Amazon.com is impressed with this latex mattress. A cursory look at the negative comments indicates that the top concern is that it tends to get hot. But without a doubt, the Roma Natural Latex mattress from Sleep EZ is one option that you have if you want to replace your old mattress and you need differing surfaces. With its 2-in-1 Comfort Technology, this mattress gives you two surface options—plush and firm. In case of the price, you will not really break the bank, so to speak, when you purchase this item. Compared to other mattresses, this Sleep EZ product is reasonably priced. And when you consider that you are basically getting two beds in one item, then you can say that the Roma by Sleep EZ is a very practical buy.